Contents: Text with included video (DVD) shipped to you. online multiple-choice test. Contents: Text with included video (DVD) and workbook with multiple-choice test shipped to you. 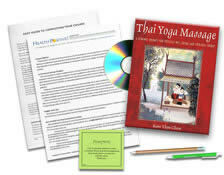 Do you have the Thai Yoga Massage textbook? See your enrollment options above for "I already own the text". Discover how Thai yoga massage promotes physical, mental and spiritual well-being. 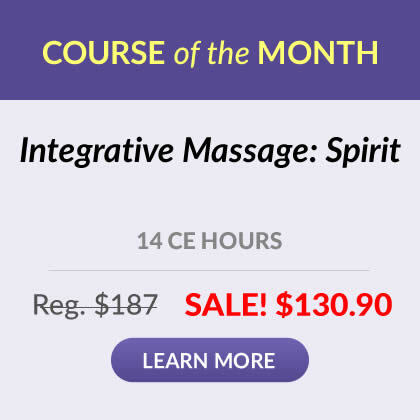 This beautifully illustrated home study CE course introduces the core principles of Thai yoga massage and provides helpful preparation for those who are considering hands-on training. Concepts presented include the history, benefits and key elements of the practice, such as anatomy and physiology and contraindications from the Thai viewpoint and tips for integrating Thai concepts with Western health theory. An accompanying 45-minute DVD shows an expert Thai yoga massage practitioner giving a one-hour massage, with key points for effective body mechanics noted. This course also includes a list of resources for further study including hands-on training. This course provides conceptual preparation to seek additional training and does not teach hands-on skills. Jennifer Carole Smith, Spartanburg, S.C. Define and describe Thai yoga massage, including how it works and how it may benefit the recipient. Define sen lines, doshas, marma points and the five elements. Identify the essential movements within Thai yoga massage. Identify and describe the three floor techniques used in working with clients. Identify the key element in the working stance to achieve effective body mechanics. Describe at least six of the working stances. Identify and describe the two main touch techniques. Describe the correct methods of using the forearms, elbows, knees and feet. Describe each of the four breath techniques and identify which is the most commonly used. Identify at least six key points for practicing safe Thai yoga massage. Recognize the contraindications and/or precautions for AIDS, cancer, cervical spine problems, high blood pressure, menstruation, osteoporosis, pregnancy and rheumatoid arthritis. Define namaskar and describe how it is done. Recognize at least nine sitting postures and list their benefits and precautions. Recognize at least six double- and single-foot postures and list their benefits, precautions and/or common practice mistakes. Recognize three approaches to sen work on the legs and list their benefits, precautions and/or common practice mistakes. Recognize at least nine single-leg postures and list their benefits, precautions and/or common practice mistakes. Recognize the key factor to working in the side-lying position; at least six side-lying postures and their benefits, precautions and/or common practice mistakes. 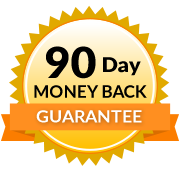 Recognize nine back-position postures and list their benefits, precautions and/or common practice mistakes. Recognize at least six double-leg postures and list their benefits, precautions and/or common practice mistakes. Recognize at least nine postures for the abdomen, chest, arms and hands and list their benefits, precautions and/or common practice mistakes. Describe the techniques that end the session, including the precautions. "Grasp the recipient's wrist and ankle and shift from sitting to standing (fig. 10.6). Walk backward, giving a gentle stretch to the recipient's thigh (fig. 10.7). When you feel resistance, stop walking and place your foot on the buttock, fixing it in position. Pull the leg by leaning back, providing flexion to the spine and stretching the thigh (fig. 10.8). The more beautiful and rounded the body arc is, the more successful the stretch becomes. Gently release the arm and leg and roll her onto her other side. Benefits: Stretches the body from hand to foot; particularly beneficial for the stretch to the iliopsoas muscle complex, the deep muscles that connect the spine to the pelvis and thigh, increases flexibility to the midtrunk; tonifies internal organs and assists digestion. Precaution: Fix your foot firmly on the recipient's buttocks, but do not apply pressure!"